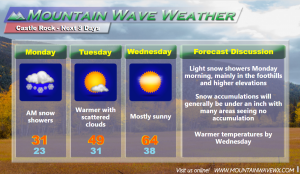 Another Weak Storm System on the Way! We should be getting used to these types of storms this year, but another Northwesterly “clipper” type storm is expected to move through late Sunday and into Monday. The cold front moved through during the evening hours Sunday and another re-enforcing surge of cold air will arrive on Monday morning. 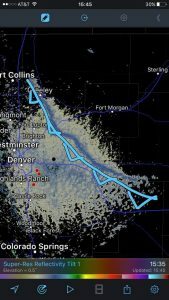 Dust being kicked up on the leading edge of the cold front was visible on radar Sunday afternoon. As with the last storm, we don’t anticipate a ton of moisture with this storm, mainly just a period of light snow that moves through for a couple of hours and then diminishes. 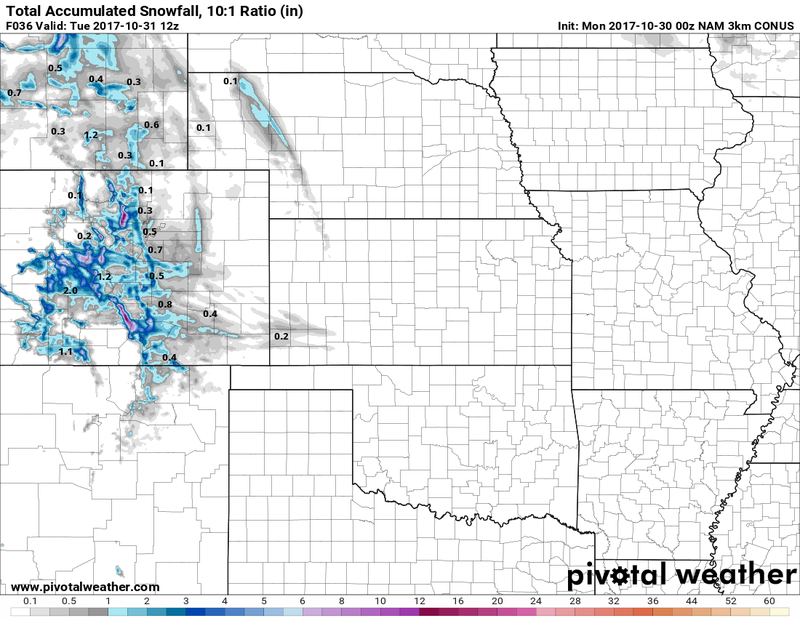 HRRR shows a quick band of snow moving through in the early morning hours. 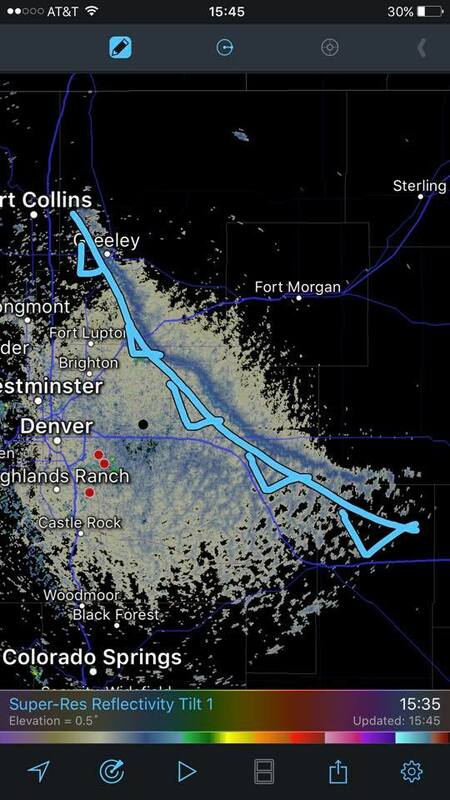 We should see a few lingering pockets of snow through the day, but overall this storm looks very similar to the last so we don’t really anticipate higher snowfall totals along the front range. 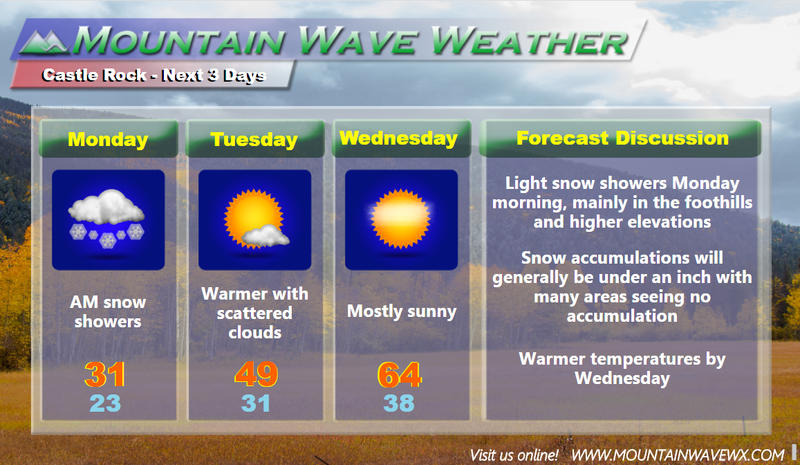 The foothills and mountains will be lucky enough to squeeze out 1-4 inches, but that’s about it. Short and sweet: expect some icy conditions during the morning commute, mainly for areas South of Denver in higher elevation. 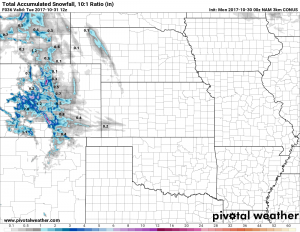 0-2 inches of total snowfall accumulation across most areas of the Palmer Divide (many areas remaining below an inch) Snow should linger into the afternoon hours for a few select areas and taper off completely late Monday night. Halloween will be chilly! Make sure to bundle up as temps will drop quickly after the sun goes down!